Display & Audio vice ; this can be termed a good package at the price point. However ; as they say , all good things comes to an end , & same goes out here too. The preinstalled MTV apps won't load the pictures & hence it is more like any other downloaded application to be tried & tested by self. There is an embedded system software application named "Sale Track" which sends device information & user data to a particular Swipe Telecom Number. Now ; in the US , they've adopted this kinda personal analysis wherein the switching between Wi-Fi zones is correlated with the individual's behavior viz shopping points , eating joints or any other transaction halts etc. Even the pattern of leisure place etc are also logically used to extract the monetary spending patterns. 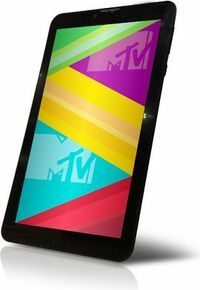 This concept has been slides onto India with this very Swipe MTV Slash 4X Tablet. When the internet connectivity is through Wi-Fi ; the user may not come to be aware of this activity going beneath ; but when the net is connected over the SiM card , then there are constant deductions towards the data charges sent over SMS from the main account balance. The user is helpless to the effect that disabling this "Sale Track" application would stop it ; but it would invoke automatically at the nextre-boot of the device . This app has almost all the privileges & preferences with permissions etc to gather any device data & information. Surely ; a boon for the spying & surveillance detection purposes. The story isn't over yet ; that is to say about the hardware flaw now. The male connector jack of the charger isn't compatible fully with the micro USB 2.0 female connector of the tablet. Meaning that ; while charging , it won't firmly connect there & at times it looses connection while remaining connected there. Interestingly ; the Sony & HtC Smart Phone charges would fit tightly & firmly into the female connector of the device. What more to say ; yes , my tablet came without the bill & they later on provides a PDF copy over e-mail. They'd initially told to have couriered the original bill to me ; but that hasn't reached me after months together. The Exclusive India Launch through E-Bay had the '100% Satisfaction Guarantee' but they rejected the claim of calling back the device ; in spite of bringing forth all these issues within 3 days of receiving the parcel. The original charger was replaced by the company & the replaced charger too had the same issues like the original one. Hence ; the replaced charger has been again submitted for replacement for the second time in a row. M/s Swipe Telecom have declined to call back the faulty & problematic device with no question of refund !! Rest ; up to the wisdom -n- wish & decision of the wise persons reading this :) !! !